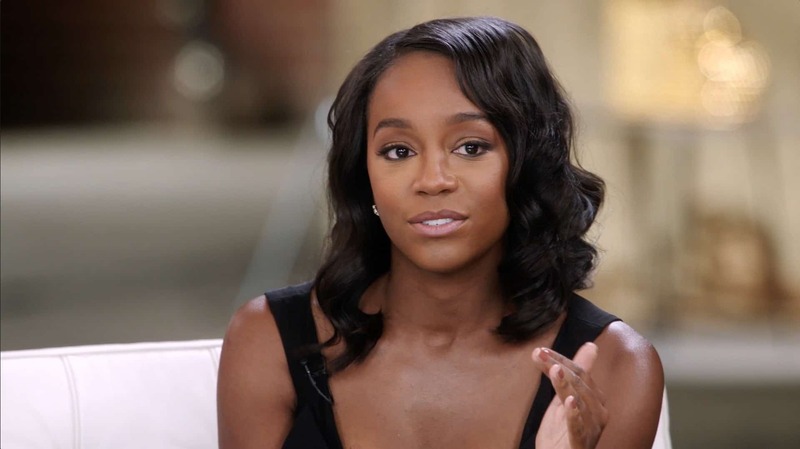 Aja Naomi King was born in Los Angeles on the 11th of January 1985. As a kid, she was raised in Walnut, California. She studied at the University of California, Santa Barbara from where received a Bachelor of Fine Arts in Acting. In 2010, she went further to acquire a Masters degree in Fine Arts from Yale University’s School of Drama. While running her Masters program at Yale, she had the opportunity to partake in a good number of productions which include; Angels in America: A Gay Fantasia on National Themes, Little Shop of Horrors, and A Midsummer Night’s Dream. In the early stage of her career, she was lucky to have several short film roles. In 2010, she made her debut on television when she was cast as a guest on the Blue Blood series. Her performance and rising popularity would then get her opportunities to star in series such as; The Blacklist, Deadbeat, Person of Interest. In 2011, Aja made her feature film debut when she was cast in a minor role in the movie, Damsels in Distress. She landed her big break in 2012 when she was billed to be among the primary cast of the CW medical comedy-drama series, Emily Owens, M.D. Though the series was canceled in 2013 just after one season, she soon got new roles including the role of Abigayle in the independent drama Four, and Amazon Studio comedy series, Onion Presents: The News. She also acted with Britne Oldford and Laverne Cox in the movie 36, Saints. She later starred as a supporting cast in The Rewrite, a romantic comedy. In 2014, She got to become a regular cast on another hit series called How To Get Away With Murder where she played the role of Michaela Prat. Aja also accepted to play the role of Cherry Turner in the 2016 historic biopic, The Birth of a Nation. Seeing how beautiful Aja is, fans definitely wonder who her parents are. Though there have been claims that her parents have Nigerian heritage nevertheless, such claims have never been verified by the star. When it comes to family, she has been very private about them as she chooses to keep them out of the prying eyes of the media and public in general. However, she has only stated that her parents are from New York. We guess we would have to hold on till hopefully more information is given in the future. Relationship – Does She Have A Boyfriend? Aja king does have a lot of men swooning over her of which any man would be lucky to date her. But the star is already hooked to a man named Alfred Enoch. Interestingly, he happens to be a co-star with her on the hit television series How To Get Away With Murder. As a couple, they started their relationship in 2015 and have been going strong to date, with no hint of a break-up looming in the corners. Who knows, they might just end up walking down the aisle. It’s an open secret that Aja nails it in the looks department, with a chocolate smooth skin to die for and body statistics the envy of most ladies. As a black woman, she possesses physical features that stand her out from the crowd. She has black hair, dark brown eyes, bra size of 36 inches, hip size of 35 inches, waist size of 25 inches. She also weighs a good 54 Kg while standing at an average height of 5 feet 5 inches (1.65m), a height which is just okay for a lady.